Horse tattoos are very much in vogue these days. This is because Chinese figures and zodiac sign tattoos are overused and are very common. 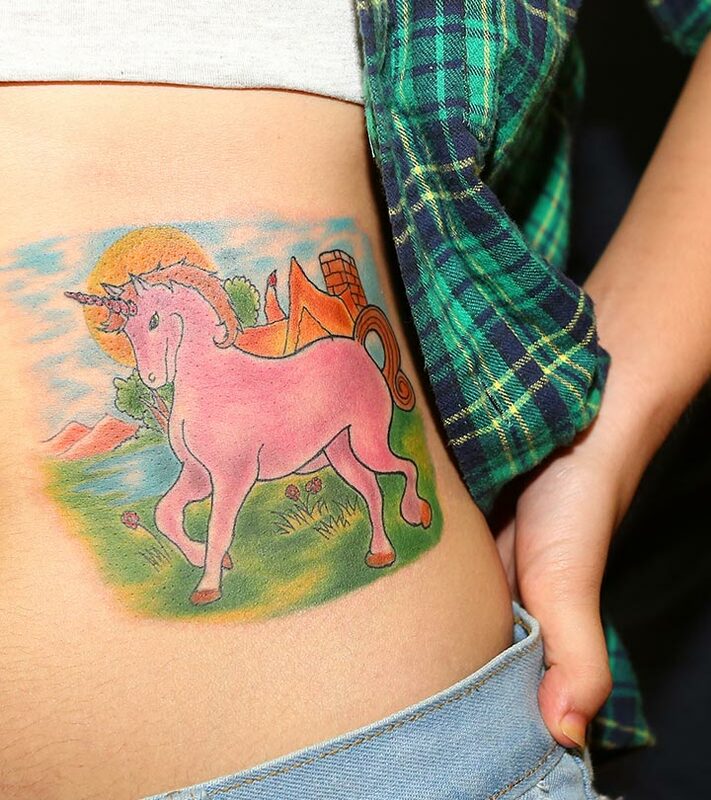 On the other hand, Horse tattoos are uncommon and can make great style symbols. 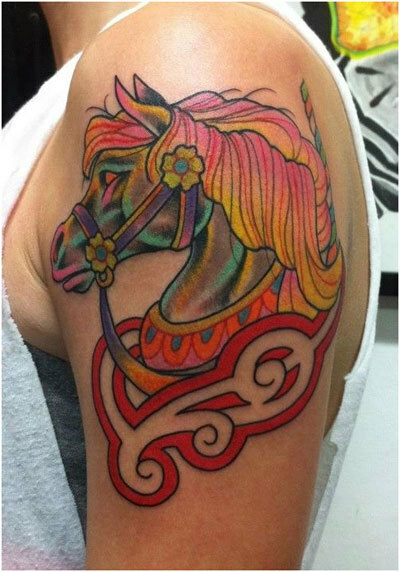 Here are ten horse tattoo designs that you can try out. You could ink yourself with a horse tattoo in various colours like blue, yellow, red and orange. Horses are animals with high stamina and strength. 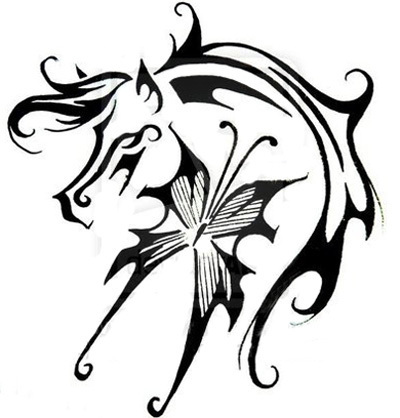 You could get a horse tattoo simply as a style statement or as a symbol of free spiritedness and passion. 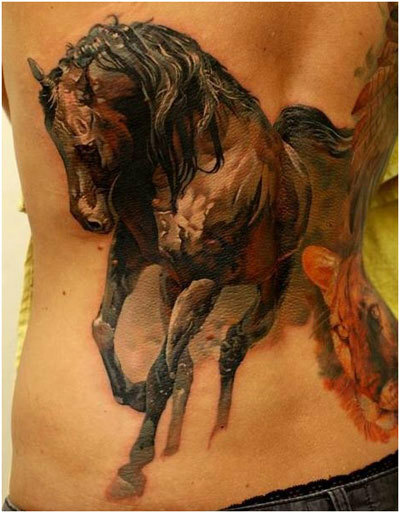 You could get the full body of a horse tattooed on yourself, preferably on your side or on the entire back. Horses have beautiful, muscular bodies and tattooing this beautiful creature on your body would make a magnificent design. You could just have the horses outline imprinted on your body. You could get this tattooed in black or in any other colour. This would make for a very artistic and marvellous tattoo. It could also be a symbol of passion and integrity. 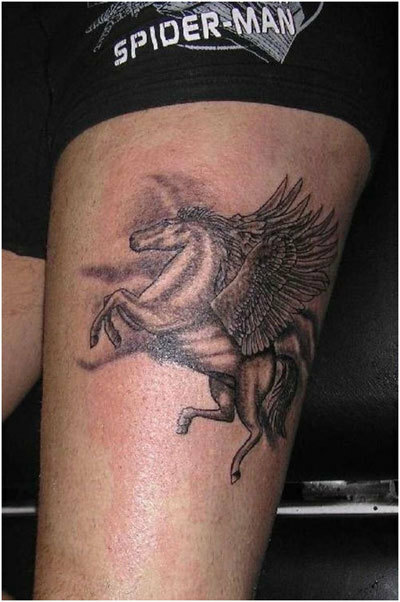 Tattooing a horse with wings might symbolize creativity and freedom of expression or it may be a simple style statement. Either way, this would be a lovely tattoo to have on your body. You could add colour and various features like muscles to make it look lifelike and realistic. A number of horses symbolize strength in numbers. 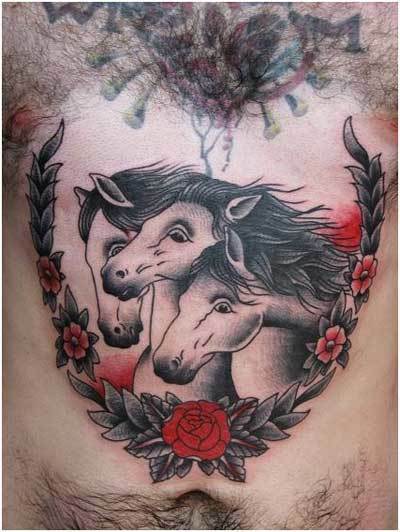 A number of horses tattooed on your body would look artistic and magnificent. Adding colour would make it look realistic. This tattoo would be a symbol of strength, power and integrity. 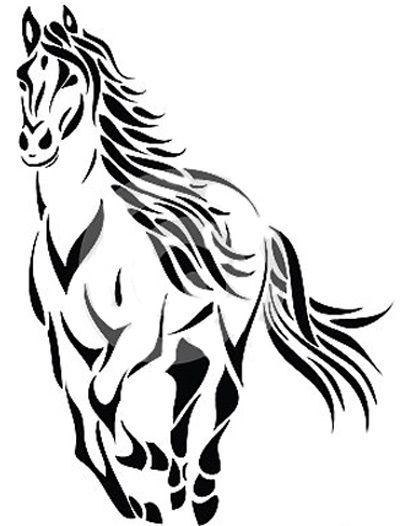 A horse in motion symbolizes drive and ambition. They also make a very good picture. 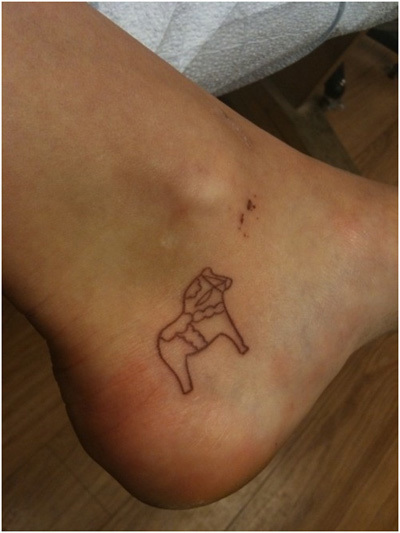 You could have a horse running down a road or standing on its hind legs tattooed on your body. This would indeed make a great tattoo. A Dala horse is a carved and painted wooden horse generally used as a toy by children. Having a Dala horse tattooed on your body would represent childish and fun loving traits in you. 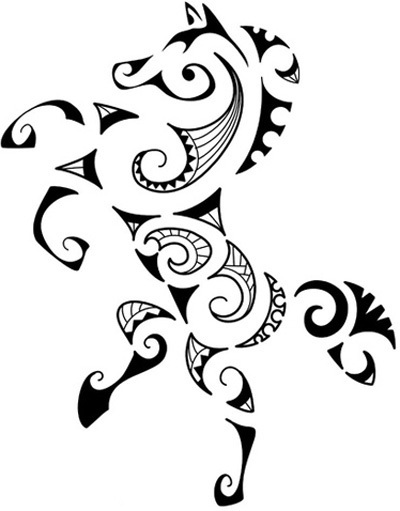 You could tattoo a horse with tribal features on your body. This would make the tattoo look unique and out of the box. 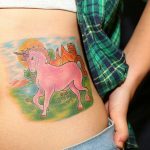 It would differentiate your tattoo from the common place horse tattoos. 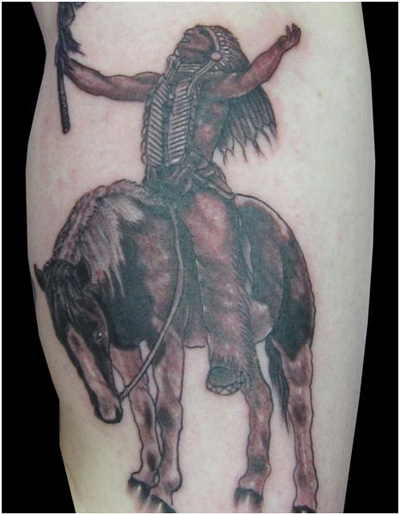 For women, who want to tattoo a horse on them but do not want to showcase masculinity can sport this tattoo. A horse with a rider would symbolize your power of will and your ability to take control of difficult situations. It would also represent the quality of charging forward. A horse rider has an extremely difficult job because he needs to manoeuvre a strong and powerful creature. 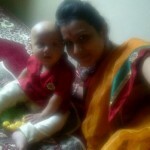 The rider thus also becomes strong and capable of handling difficulties. This would be an artistic and feminine tattoo to get inked. The shape of the horse can be combined with a butterfly to make it look unique and feminine.